MONTREAL - Canadian investors who have yet to diversify into the U.S. market still have time, according to investment specialists who predict a further decline in the value of the loonie against the American greenback. Although the Canadian dollar has lost almost 12 per cent of its value against its U.S. counterpart since falling below parity in February 2013, currency watchers expect a continued depreciation of between 4.5 and seven per cent by next summer. "If it does as we forecast and move further from 88 cents to 82 or 84, there's money left on the table for Canadian investors who don't have exposure to U.S. equities," said Paul Taylor, chief investment officer for BMO Global Asset Management. He expects the U.S. dollar will further gain strength as the American economy improves and the Federal Reserve begins to raise interest rates next June, ahead of the Bank of Canada. Although many advisers recommend not focusing too much on currency changes, which can be notoriously fickle, investments held by foreigners in U.S. dollars will automatically gain in value as that currency appreciates, even if the securities themselves remain unchanged. Taylor recommends a diversified portfolio include 13 to 15 per cent of U.S. equities, up from about eight to nine per cent recommended just a few years ago. He also said investors should also look to Europe and Japan, where currencies are losing ground to the loonie, as well as to the U.S. dollar, and struggled with recessions. "Now is the time to do this because one of the most predictable bets as we go forward is that the U.S. dollar will continue to firm and that, in part, the euro and the Yen will continue to weaken," he said. Adding U.S. stocks will help investors capitalize on the remaining currency bounce and access globally competitive firms that aren't available in Canada's resource and bank-heavy exchange. Michel Doucet, investment manager at Desjardins Securities, said buying into the world's biggest economy at this time is a hedge against whatever global economic challenges develop. It's something astute Canadian investors know but far too few take advantage of, he said. "Too many times we see investors falling in love with Canadian names." He said Canadian investors tend to stick to what they know instead of diversifying globally. Doucet is more aggressive, saying 30 to 35 per cent of an investor's portfolio should be in the United States. An alternative is for Canadian investors to buy into the S&P500, for example, by buying exchange-traded funds (ETFs) in Canadian dollars. They can also take advantage of the upside of the lower loonie by investing in export-oriented Canadian companies as opposed to sectors, like telecommunications, that are focused on the domestic market. Adrian Mastracci, portfolio manager & financial adviser at KCM Wealth Management, said investors should be cautious about making adjustments for currency since changes are beyond an investor's control and extremely hard to predict. 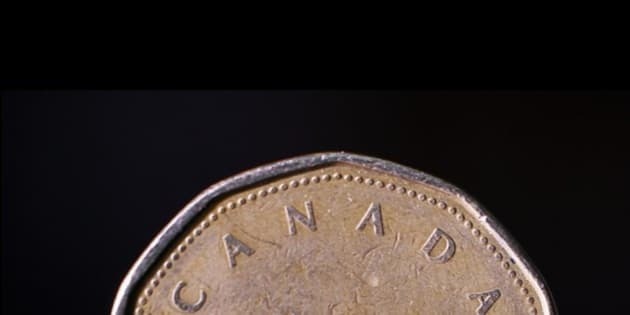 It was only five years ago, that the loonie began its climb to parity from 86 cents US. "Keep it simple," he said from Vancouver. "I see too many people trying to make some fancy dances and some fancy moves and, after all is said and done, you really haven't done that much." Mastracci said many investors shouldn't worry about investing in U.S. dollars, especially they spend most of their money in Canadian dollars. In fact, he said it may be the right time for investors who need money to take advantage of the higher U.S. dollar to sell their American investments, come back to Canada and record a gain. "It all depends what the need is of the individual (or) family investor."